FREAK FLOODS is a musical essay by writer/vocalist Emily DeDakis (USA) & harper/sonic artist Úna Monaghan (Ireland), combining live improvised performance with recorded soundscape. Spoken word mingles with sung moments, electronic sound collage & improvised harp accompaniment to bring lost people & geopolitical shifts to lyrical life. It’s a skewhiff symphony in ten movements — a hymn for a flooded city, a lullaby for a missing brother & an immigran t’s post-Brexit prayer. On the surface it’s about the United Kingdom of Great Britain & Northern Ireland & the United States of America; flickering below is a spectrum of possible places in between & the impossibility of keeping still. Dublin born composer and performer Jennifer Walshe is surprising, thought-provoking, and relentlessly imaginative. The breadth and dazzling diversity of her work is simply astounding, having been commissioned, broadcasted, and performed throughout the world. 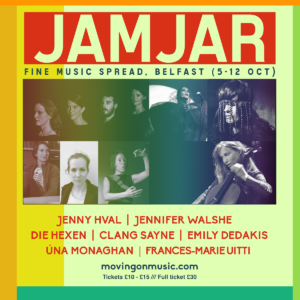 The recipient of countless fellowships and prizes, Jennifer has been described as “The most original compositional voice to emerge from Ireland in the past 20 years” (Irish Times). 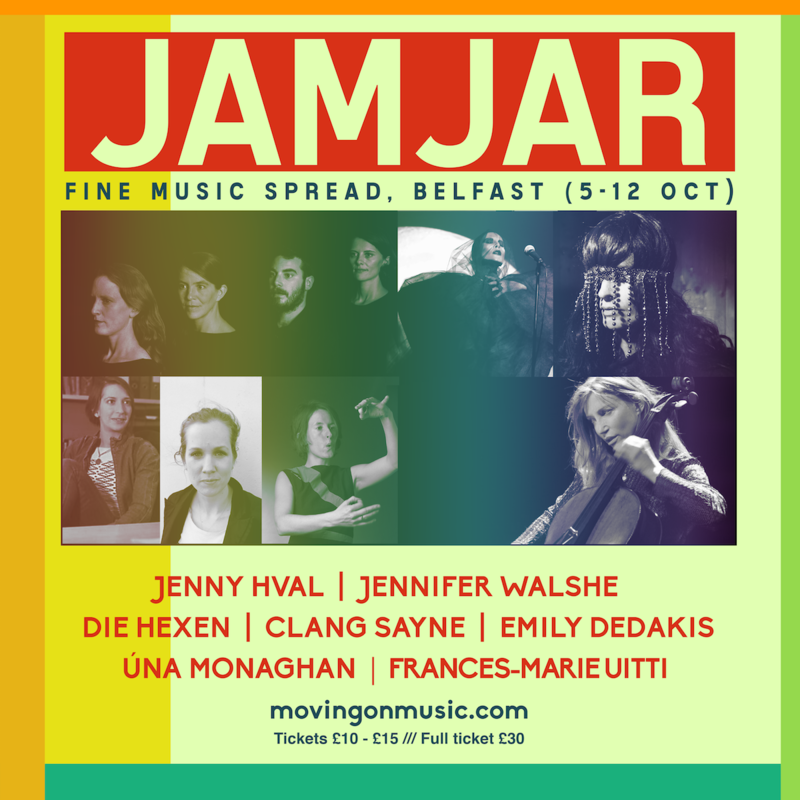 We are delighted to have Jennifer Walshe involved in this year’s JamJar series as she Premiere’s IS IT COOL TO TRY HARD NOW? a piece for voice, video, electronics and Artificial Intelligence. We guarantee awe.